​leading to respectful relationships and healthier individuals and communities. Peacemaker Resources’ programs are built on the premise that social & emotional learning (SEL) skills are essential for healthy and meaningful lives. Peacemaker Resources offers programs and training in Social & Emotional Learning to both schools and youth organizations. Peacemaker Resources recognizes the central role culture plays in the way we as individuals understand and interact with the world around us. 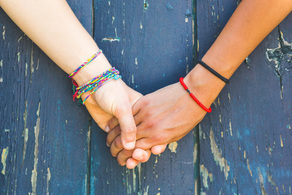 We know that in order to support respectful communication that promotes authentic connection with others, it is necessary to understand how to acknowledge, include, and respond to a wide variety of cultural perspectives. Peacemaker Resources highlights the importance of understanding the prevalence and impact of childhood, social and historical trauma. We believe that healing can happen and resiliency be enhanced by teaching skills that build strong relationships. Email address is all we need. We will never use or sell your information for anything else! Connecting schools, families and communities to healthier and happier futures.